Is it Okay to Check Someone’s Background Before a Blind Date? Posted on 20. Sep, 2013 by inMotion Dating. Posted on 14. Apr, 2013 by inMotion Dating. Dating tips for men from a woman’s perspective that will ensure you are well prepared before jumping back into the saddle or going on your first date. Posted on 01. Dec, 2012 by inMotion Dating. To be successful in online dating you need to follow a few basic rules. Here’s a list of best practices to ensure you get the most out of dating online. Posted on 22. Nov, 2012 by inMotion Dating. Get a taste of a unique adventure when playing out the game Chutes and Ladders of Love by putting your love on the line. Can you make it past the chutes? Posted on 07. Nov, 2012 by inMotion Dating. Finding a suitable partner online and building a relationship can be quite challenging. Here are 10 tips for developing successful online relationships. Posted on 06. Nov, 2012 by inMotion Dating. Most men have the same concerns that women have when it comes to dating. Our essential dating guide for men offers great dating advice and tips for men. Posted on 05. Nov, 2012 by inMotion Dating. 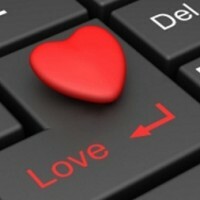 Are you thinking about trying online dating? Here are the hottest tips for choosing an online dating site to ensure you get the best service and play safe.